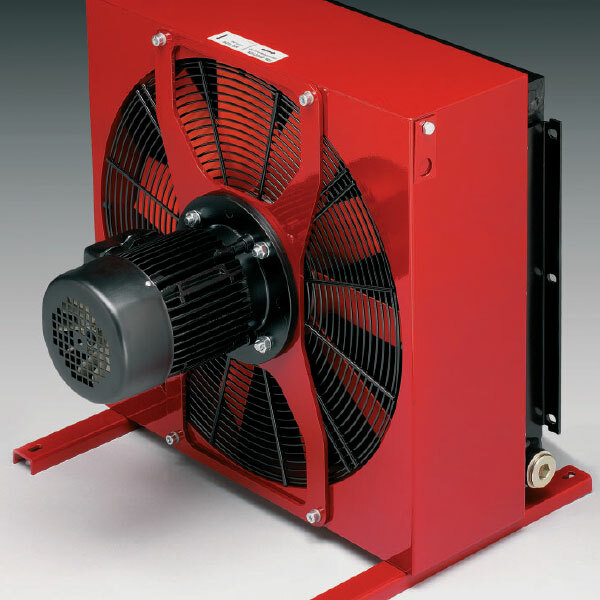 The EL series is a complete oil/air cooler system with an axial fan for industrial applications. Therefore, these high-performance coolers are suitable for hydraulic cooling applications with both return line and offline versions available. Typical applications include industrial power units, lubrication systems (i.e. gearboxes) and machine tools. EL coolers use high-efficiency axial fans and strong cooling elements to achieve maximum performance. Many models are available with medium or high-speed fans and the modular design allows the addition of circulation pumps and filters when required.